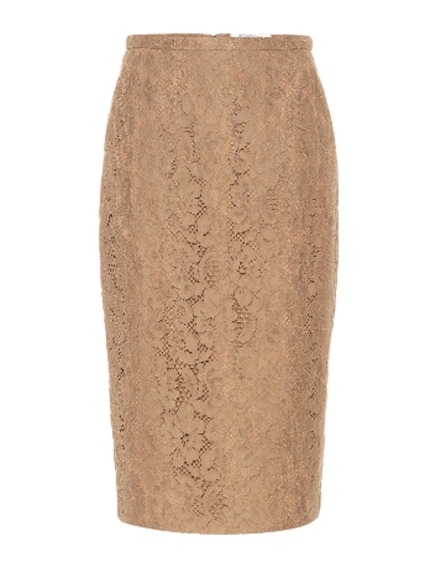 Emblematic of Maxmara's timeless chic style, this camel lace pencil skirt strikes a flawless balance between sophisticated and glamorous. Cut for a slim fit, this refined staple is a flattering way to embrace fashion's most romantic fabric. Let yours bring lovely texture to tailored ensembles and team with the silk Lignano tie neck blouse.